Black light or ultra-violet light allows one to create fascinating illusions and visually stunning entertainment. 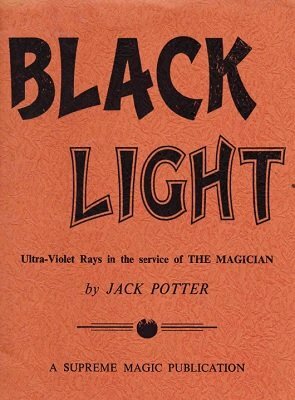 While this publication is certainly dated when it comes to contact addresses and some of the technical information, it is a unique source and collection of information for the black light enthusiast and performer who wants to make use of its properties. 1st edition 1969, 17 pages; 1st digital edition 2016, 21 pages.